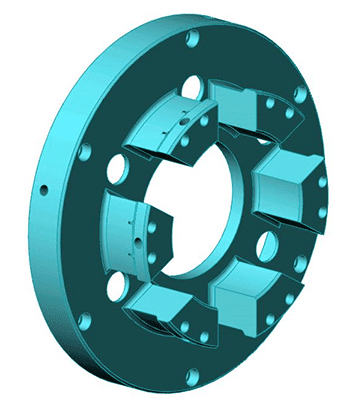 Diaphragms grip internally or externally by the flexing action of a basic plate of one piece construction providing excellent hold and with extreme accuracy. The diaphragm is spread open or closed in, ground for part size and the return inherent spring action creates the grip force as needed. This process naturally creates excellent concentricity and repeatability. They are designed with a flex point and controlled amount of travel providing excellent longevity. The grip force can be light or quite powerful and can also be assisted by springs or drawbar / tube for additional grip force. It is simply released by the return springs or drawbar/ tube action. They are basically a one piece construction designed for a specific part but can be designed with interchangeable pads or inserts for various diameters. 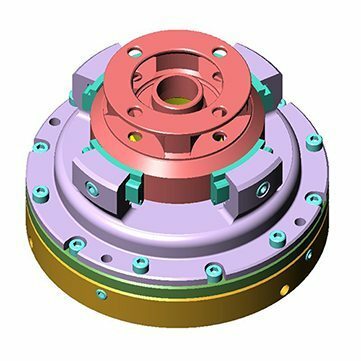 It is machined leaving 3, 4, 6, 8 or 12 jaws which provides naturally good chip escape, yet with extreme accuracy many times greater than a conventional 3 jaw chuck. 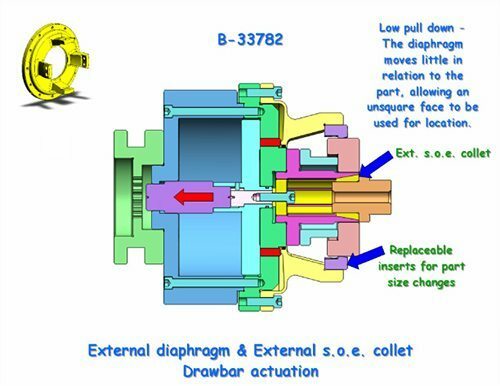 The diaphragms flexing action allow it to somewhat conform to the shape of the part; this will minimize chucking pressure and reduce part distortion. 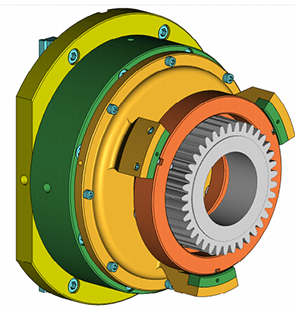 They can be used in turning, drilling / milling, gear machining, and many grinding applications. They can adapt to most machines and use the actuation available or designed with their own built in. 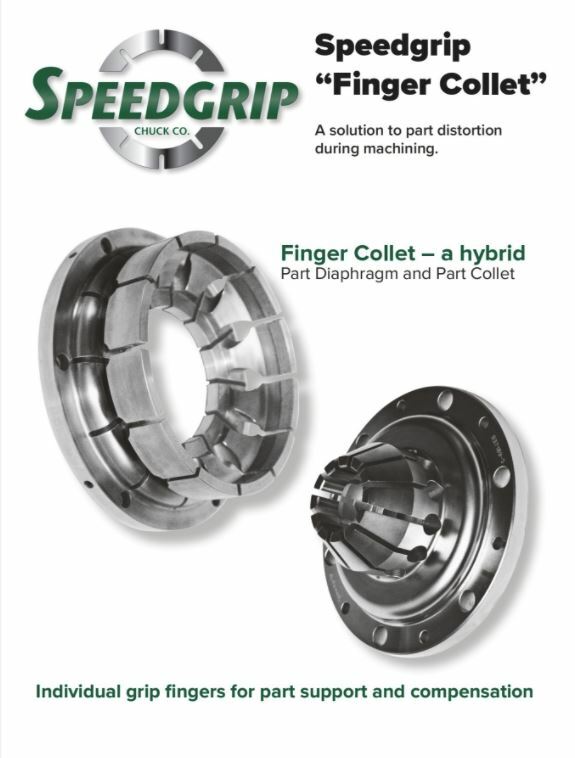 The Speedgrip “Finger” Chuck is an amazing solution to meet the need for distortion free /reduced workholding. 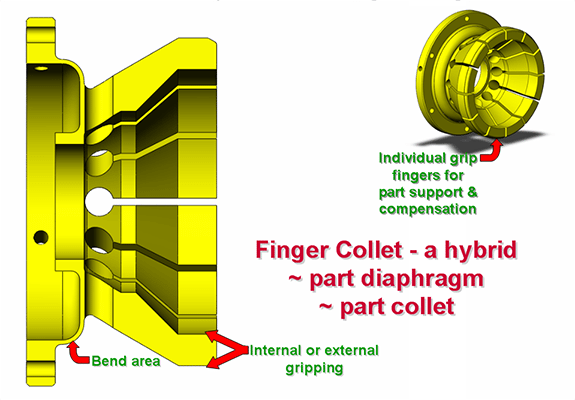 Merges the attributes of a diaphragm, one piece “flex” plate that provides excellent concentricity and repeatability, with that of a collet, with individual fingers that grip 360 degrees with contour compensation. 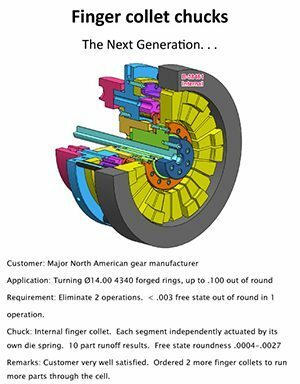 Access the “Finger Chuck” brochure below for additional information and examples.